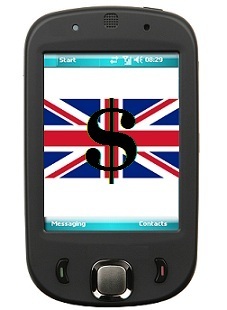 The British authority will enable smartphone and tablet funds transfers among all bank accounts. The Payments Council in the United Kingdom has announced that the launch of its mobile payments service in 2014 will enable funds transfers among all bank accounts in the country. Support has already been expressed by Barclays Bank, which will be taking part in the movement. Barclays Bank has stated that it is in favor of mobile payments, but it will not be alone in providing the service. According to the Payments Council, by the spring of 2014, it will have made it possible for 90 percent of British banks to offer this type of smartphone friendly service. Customers at Barclays are already using mobile payments through the Pingit app. This application allows smartphone users to be able to make payments to any bank account in the United Kingdom, provided that the smartphone number of the recipient is on the contact list of the sender. There are currently eight financial institutions – comprising 90 percent of the current bank accounts in the United Kingdom – which have already made their commitment to offering the new mobile payments service as of the spring of next year. It is expected that they will soon be joined by additional banking institutions, as well. Among those that have already signed up are Barclays, Danske Bank, RBS, HSBC, Cumberland Building Society, Lloyds Banking Group, Metro Bank, and Santander. There has already been a tremendous adoption of the Pingit app, as the first five days following its release saw over 120,000 downloads. Responding to the considerable demand for using mobile payments, Barclays found itself lowering the minimum age of use from 18 years old, to 16 years old. At the same time, it also increased the transaction value limit. The Payments Council CEO, Adrian Kamellard, said that “The mobile payments project is a fantastic example of the unique role the Payments Council can play in delivering far-reaching, innovative improvements for customers.” He went on to explain that the newly offered service will provide consumers with a convenient and secure way for sending money to a friend, splitting the bill at a restaurant, or paying a contractor without having to share any bank account details other than a telephone number.